This may come as a shock to someone who is not a resident of Virginia. Unlike Virginia, some states fail to consider reckless driving seriously. If you happen to be a resident of such states, you will drive through Virginia recklessly under the mistaken belief that reckless driving is not a serious offense in Virginia. You are probably unaware as to what is a reckless driving ticket in Virginia. Driving in a manner that is dangerous to others is considered reckless driving. The term dangerous is too broad a term for one to understand what exactly it means. Acts like passing past an emergency vehicle or a school bus are considered reckless driving. Most often, reckless driving offenders are people who have crossed the speed limit by driving more than 20 miles per hour over the speed limit or by driving 80 miles per hour regardless of the posted speed limit. At times when vehicle drivers cause an accident and end up causing significant damage to property, such drivers are also charged with reckless driving. In Virginia, the law is stringent and imposes severe penalties for a reckless driving conviction. The penalties may be a fine of $2,500 and/or one year in prison. Further reckless driving has certain long term consequences that are so severe that you would regret this act of reckless driving for the rest of your life. Any reckless driving conviction in Virginia results in a permanent criminal record. This criminal record may determine some of your most important decisions about your future such as employment, housing, insurance, security clearance, etc. At times a reckless driving conviction in Virginia will lead to suspension of driving license. For reckless driving offenders who are not residents of Virginia, this reckless driving conviction is going to have a negative impact in your own home state. Most people in the United States are unaware of the existence of the Interstate Driver License Compact. The Interstate Driver License Compact is an agreement under which states have agreed to share data about motorists, traffic violations and licenses suspensions.  The implication of this is that if a person who is not a resident of one state is convicted for reckless driving in another state, the second state would immediately send information pertaining to this reckless driving charge to the home state of the offender. If the home state agrees to the penalties, then the same penalty will be applicable in the home state too. This can be clearly explained with an example. If one is imposed with 6 points on his license due to the reckless driving charge, then in the offender’s home might also determine that this penalty will be applicable in the home state as well. In cases where a judge orders suspension of license, such an order may be applicable to all States that are participants of The Interstate Driver License Compact. If you are a resident of New Jersey and have been charged with reckless driving while driving through Virginia, you should be aware of the special provisions that are applicable to New Jersey residents. For offenders who are New Jersey residents, additional fees which is also termed surcharge will be imposed. The reason for this additional fees is the difference in the punishments imposed in both states. In New Jersey. Reckless driving is considered a 5 point violation in New Jersey while it is considered a 6 point violation in Virginia. To make good this difference, offenders are charged with additional fees. If you are a resident of North Carolina, you will receive additional periods of license suspension. Though North Carolina law imposes a suspension period of 30 days, if you are convicted of reckless driving in Virginia, you are likely to be imposed with a mandatory period of license suspension for a period of 60 days. The cause for this is the provision in Virginia law that punished reckless driving offenders with a mandatory license suspension of 60 days. If you are charged with reckless driving in Virginia, you should immediately approach a lawyer who is well experienced in handling reckless driving cases. A skilled attorney will take the necessary steps to make sure court proceedings are conducted in your absence in most instances. By doing this, the attorney is saving you a lot of money and you can also avoid the strain of traveling back and forth. A lawyer who has handled several reckless driving cases will explain the nature of charge imposed on you and will discuss with you about the strategies he plans to take. 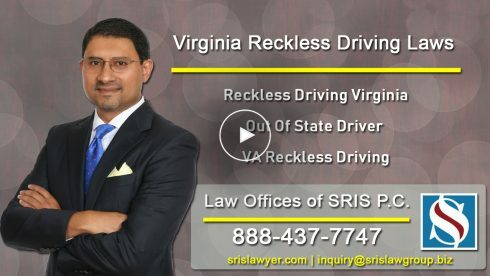 Mr. Sris has defended over 1000 clients charged with reckless driving in Virginia.